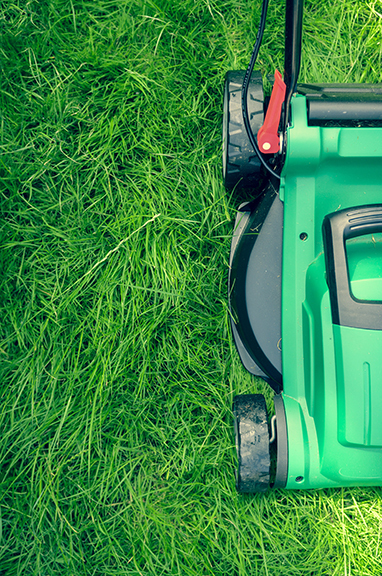 Over the last 20 years or so the small engine lawn tool market has gone through big changes. One of the biggest changes is that small engines had to be redesigned to meet air quality standards and emission laws…just like your car. Probably more important, many had to be redesigned to perform using gasoline that includes ethanol. In addition, there was widespread marketing to introduce many of these tools to the general public. Historically, only individuals specifically trained owned these types of tools. And while many new owners were happy to learn the proper way to care for and maintain their new purchases, others were happy to just get them started, get the job done, and put them away until next time. Even if next time, was next year! If you don’t care for and maintain your gasoline powered tools properly, they are unlikely to work when you need them. Very few of us take the time to follow the steps to ensure our power equipment will be in working order. And what does this mean? Well, come Spring, nothing starts properly, everyone gets a sore arm from pulling and pulling the start cord, frustration sets in, and worse, the job at hand does not get done in the expected time. During normal conditions this can be aggravating, but during emergency conditions, say a tree down over the driveway, it can be life threatening. Know whether your equipment runs on a 32:1, 40:1, or 50:1 oil gas mixture? Take your gas can to the filling station to ensure you are putting exactly 1, 1-1/4, 2, or 2-1/2 gallons of gasoline in the fuel can? Add fuel stabilizer in each can of oil/gas mixture? Not use stale gas improperly wintered over from the year before? Change spark plugs after the predetermined time required . . . or even know the correct size spark plug? Store the gas in a controlled environment or treat the fuel properly to store it in an unconditioned environment? Follow the manufacturer’s recommendations for winterizing their equipment? So what can you do to properly care for and maintain your power equipment? Read the owner’s manual. Write down, where you can easily retrieve it when you are hot and sweaty and the bugs are bothering you, what oil/gas mixture and what size spark plug your equipment requires. Because, yes, the innocent guy at the hardware store is going to ask you that when you rush in the front door trying to get your equipment running properly. Take the time to properly care for your gasoline and oil/gas mixture. So, add the necessary fuel treatments, and if wintering over any gasoline, add the required stabilizers. If possible, store the gasoline in a controlled environment. Also, take the extra few minutes to properly measure the gasoline you are adding to your oil to make your correct oil/gas mixture. Properly winterize your equipment. Drain and properly store, or dispose, of any fuel remaining in your equipment. Run your equipment until it runs out of any remaining fuel. Change the oil so it is ready for the following season. Add a few drops of oil to the spark plug hole and install a new spark plug. And, store your equipment in a clean dry space. If it has been a year or two, don’t hesitate to take your equipment to a local shop specializing in the care and maintenance of small engines and tools. A little “spiffing up” and “special care” will go a long way towards extending the life of your equipment. And, if you want your local shop owner to “love” you, take your equipment in to be serviced either at the end of the season or well before Spring. Everyone wanting everything fixed when Spring is in full swing can make for some difficult conversations!